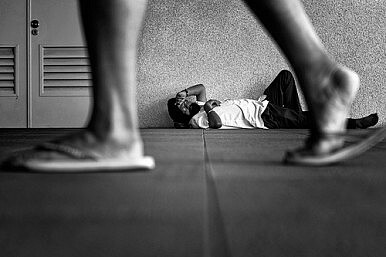 As the wealth gap widens, Singapore should consider setting a poverty line. Singapore, one of the richest countries in the world, has 20 billionaires and 188,000 millionaires. But curiously, the government doesn’t know the exact number of its poor households. Maybe Kishore Mahbubani, a former diplomat, was correct when he wrote in 2001 that poverty has already been eradicated and that there were no longer “homeless, destitute or starving people” in Singapore. But this seems a bold claim to make in light of the recently documented hardships faced by many ordinary Singaporeans. Perhaps it’s more accurate to mention that the lack of poverty data is related to the government’s refusal to define the country’s poverty line. He added that developed countries like Canada and New Zealand have not adopted poverty lines in measuring their economies. But the minister’s “cliff effect” argument was quickly debunked by many. For instance, writer Kirsten Han argued why setting the poverty line would not lead to the exclusion of other less deprived households. Indeed, the poverty line can be a useful tool for the government in devising multiple programs to assist low-income households. More importantly, it will help validate the effectiveness of the government’s existing economic and social services for the poor. But the strong reaction to the minister’s response reflects the sentiment among many Singaporeans that the government is not doing enough to address the growing gap between the rich and poor (let alone acknowledge it). The issue of whether setting the poverty line is relevant for Singapore came out right after the Catholic group Caritas launched an initiative called Singaporeans Against Poverty, whose aim is to raise awareness about poverty and mobilize public support in breaking the cycle of poverty in Singapore. In particular, the campaign urges Singaporeans to be more sensitive about rising poverty despite the reported affluence in the country. The group claimed that there are 105,000 families or 387,000 individuals whose monthly income is less than $1500. It added that in 2012, more than 100,000 Singaporeans and permanent residents earned less than $1,000 a month despite working full time. It also cited a 2008 survey which showed that a third of households living in one- and two-room flats have no income. Setting a poverty line would not discredit the status of Singapore as a rich nation. No one can dispute its sterling achievements in building a world-class city that provides efficient services to its citizens and visitors. But poverty, however insignificant the number, is also a reality in modern and prosperous Singapore. And the government, which wants to define and count almost everything, including what constitutes unlawful assembly, can best tackle the problem of poverty by identifying the number of poor that deserve to receive urgent assistance. The controversial naming of an Indonesian naval ship has sparked a row between the neighboring countries.